Earlier today I found myself listening to Trombone Shorty & Orleans Avenue Jazz. Listening to that music sent me on a little quest to for resources that could be used to help students understand jazz music. Jazz on PBS Kids Go is a nice little site on which children can learn about the history of jazz music, styles of jazz, and the instruments used in jazz music. To learn about the history of jazz music students can click on the Jazz Greats and Jazz Timeline. Jazz Greats contains short biographies of famous musicians like Benny Goodman, Louis Armstrong, and Miles Davis. 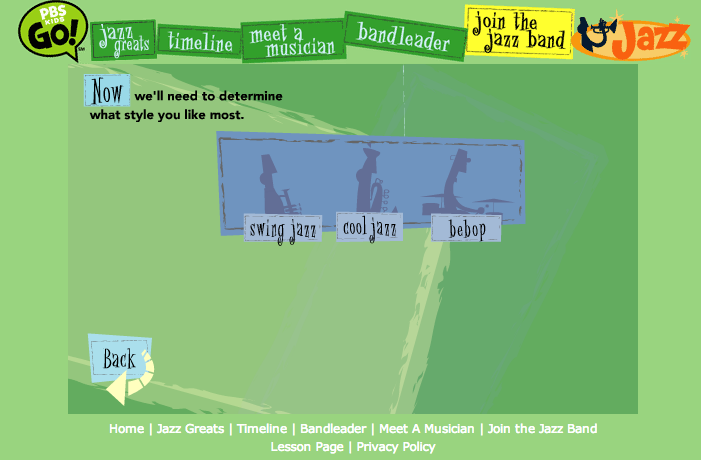 The Jazz Timeline is an interactive timeline that students can click through to discover the roots of jazz music. 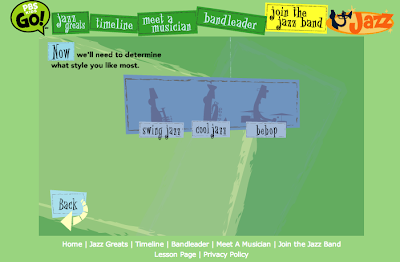 After learning about the history of jazz music students can become virtual jazz band leaders on PBS Kids Jazz by arranging a band and listening to the outcome of their arrangements.